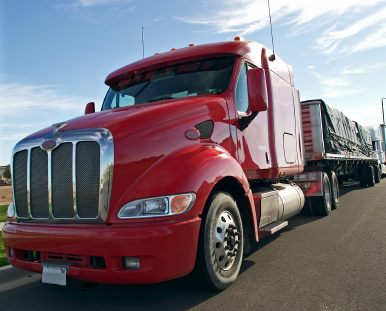 Commercial truck accidents are known to result in significant amounts of damage, serious injuries, and death. There are many factors that can cause any vehicle accident including bad weather, defective parts, driver experience, and road conditions. This is why a single reason for car and truck accidents cannot be stated definitively. But, one major thing is known to cause wrecks: human error. For truck wrecks, human error can come from both truck drivers and passenger vehicle drivers. In this study, the Federal Motor Carrier Safety Administration (FMCSA), with the National Highway Traffic Safety Administration (NHTSA) organized research to find the main reasons for truck accidents. Their sample contained 963 large truck accidents out of 120,000 from a period between April 2001 and December 2003. There were 1,123 large trucks and 959 passenger vehicles involved in these wrecks. How was the study conducted and what did it show? A crash researcher and a State truck inspector went to each crash site to gather as much information as possible for the study. Some of the methods they used included the following. The numbers gathered are considered national estimates because true values could vary. The study created a probability sample of crashes, not a census, but the numbers are still shocking. The researchers looked at the “critical reason” for the truck accident, or the main cause leading to the event. They found that several reasons caused the wrecks, both single vehicle and multi-vehicle, including the drivers of the trucks, the vehicle itself, and the environment. The driver was the critical reason for 68,000, or 87%, of the truck accidents. The human error causes were broken down into four categories. Performance, or the driver’s actions, resulted in 7,000 instances. Decision, or the driver making a mistake in speed or following distance for example, caused 30,000 instances. Recognition, or inattentiveness or distraction, caused 22,000. Finally, 9,000 instances were caused by non-performance where the truck driver was disabled by heart attack, seizure, falling asleep, or another impairment. With these numbers, it is easy to see how human error can be considered the leading cause of truck accidents. There are many individual factors that go into the main classifications in the study. Fatigue, unfamiliarity with roads, speeding, drug or alcohol use, and distracted driving are just a few caused by people. Even though federal laws were put in place to prevent fatigued driving (Hours-of-Service Regulation) in most of the trucking industry, this issue still causes accidents. Working too long, coupled with the stress of delivering on time, can make truckers too tired to drive safely. This would go in the non-performance category (the third largest), especially if a driver falls asleep at the wheel. The recognition, decision, and performance categories of the study all contain issues related to human error. Bad maneuvering choices, distracted driving, taking drugs or drinking alcohol, and not maintaining vehicles are all poor decisions that can cause serious accidents. Health conditions or sudden medical issues would not count, as these are considered non-performance. Truck drivers aren’t always at fault for the accidents that they are involved in. Many times, passenger vehicle drivers cause wrecks. This is most often done when they do not understand or ignore the capabilities of large commercial trucks. These vehicles cannot stop as quickly as small cars, trucks, or SUVs and need more room on the road. Issues that cause truck accidents occur when a car driver positions their vehicle in a truck driver’s blind spot or when they suddenly change lanes in front of a truck. Making a turn in front of a truck, ignoring the actions of truckers, driving between commercial vehicles, and merging into traffic too quickly can also cause accidents. Passenger vehicle drivers should know that commercial trucks do not operate in the same way that their vehicles do. It is best to understand that larger trucks need space and that their drivers must watch out for hazards differently. The FMCSA offers some safety tips for all drivers that can keep everyone on the road safer. If you have been in a Commercial Truck Accident caused by someone else’s negligence, you can seek compensation for your pain and suffering. Attorney Dean Boyd and his caring Team can help you understand the claims process during this difficult time. Call us 24/7 at (806) 242-3333 or Contact Us by email for more information about our Services. You can also visit our offices at 4423 SW 45th Ave in Amarillo, Texas or 5012 50th St #103 in Lubbock, Texas.